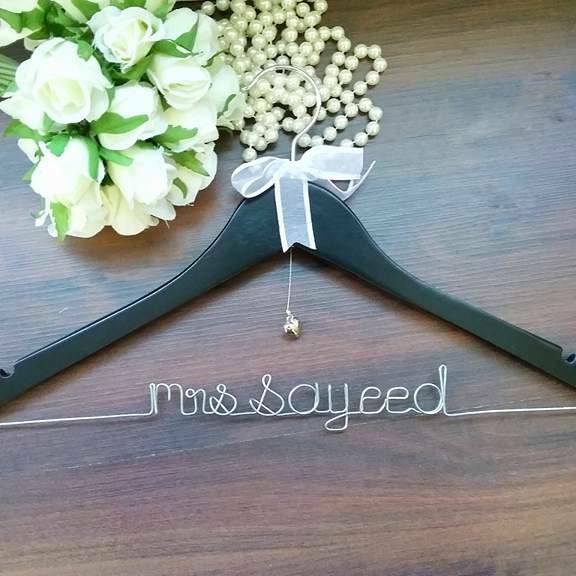 Personalised Mrs Wedding Hangers and Custom handmade Wedding Name Hangers with wire bent Names make great Bridal Party Coat Hangers for the whole bridal party. 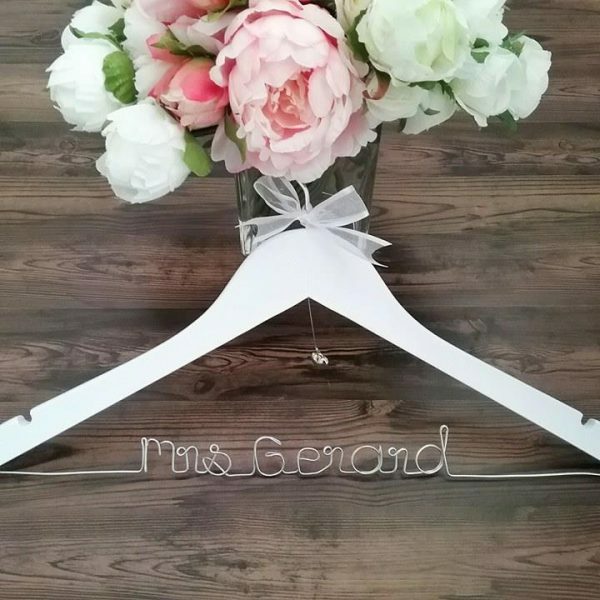 Great quality and looks as promised. 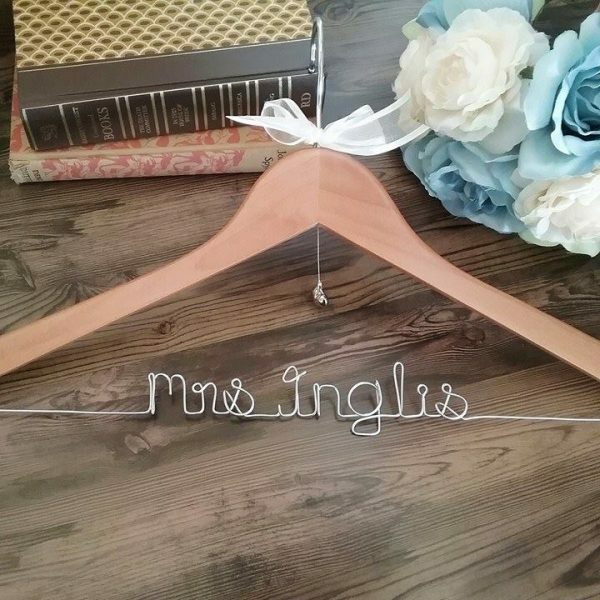 Can’t wait to use on my wedding day!